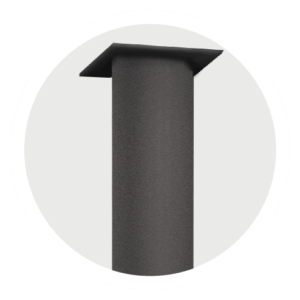 Lally Lock Column - Portland Stone Ware Co., Inc. 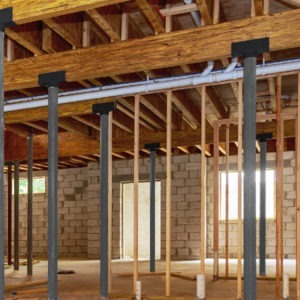 In the northeast concrete columns used in basements hold an important function of bearing weight of beams and floors above them. 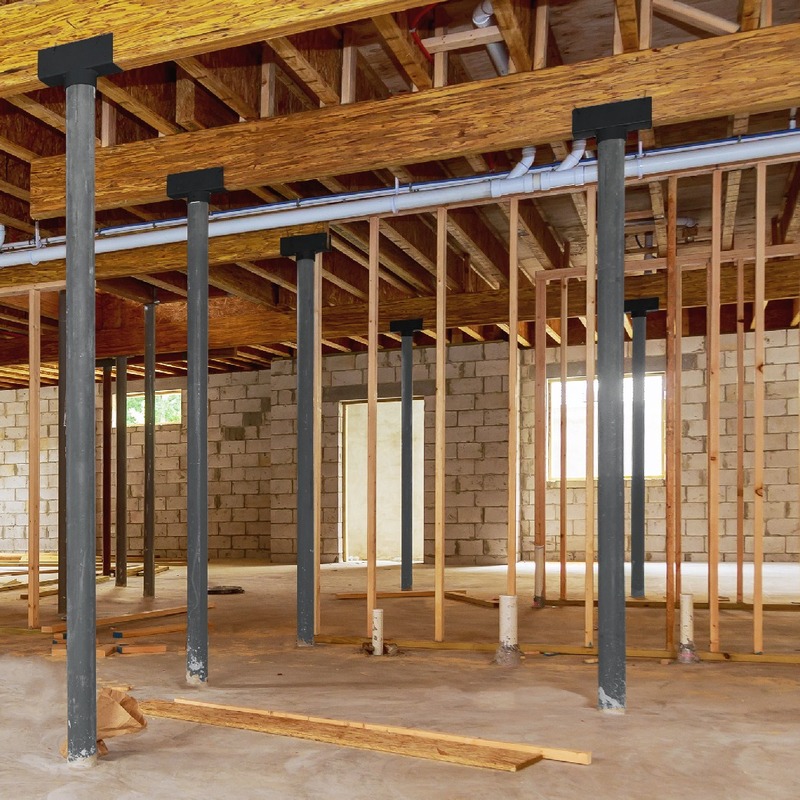 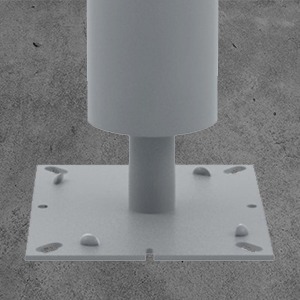 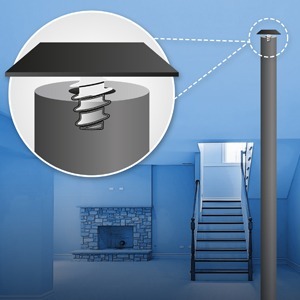 While traditional columns have been used since 1930s, the Lally Lock Columns with the patented design of an embedded fastening unit innovatively change how builders install columns and provide connectivity from sub floor beams and structural support. 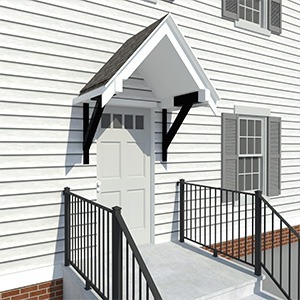 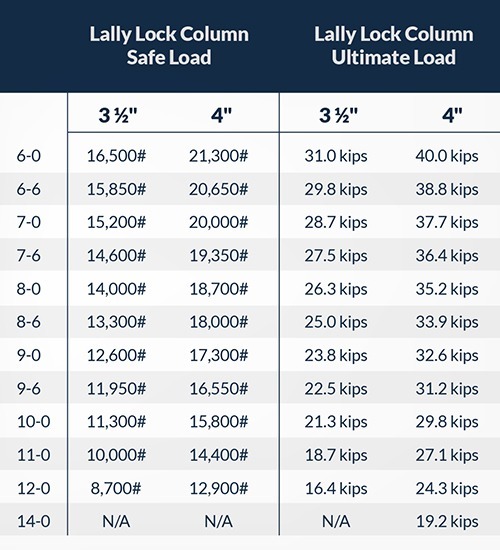 Lally Lock Columns are commonly made in 16 gauge tubular steel either 3 ½ or 4 inch diameter and then filled with a premium concrete made for strength. 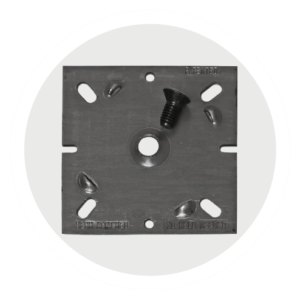 The patented, embedded fastening unit is installed inside one end of a column allowing installers to screw in any of the lally lock cap plates. 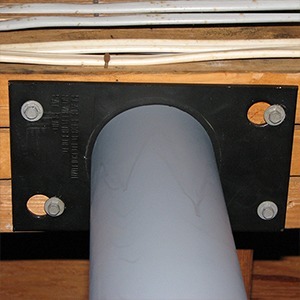 This eliminates welding and achieves a code required “positive connection.” On the other end, a base plate needs to be selected and implanted in a concrete footing or floor. 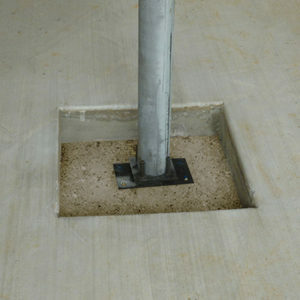 Columns are painted grey to blend in. 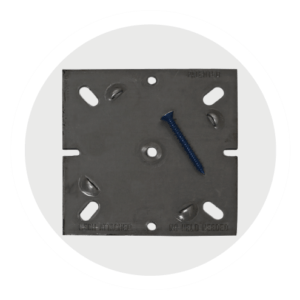 The next two steps in the EASY process of installing are selecting a cap plate and a base plate.